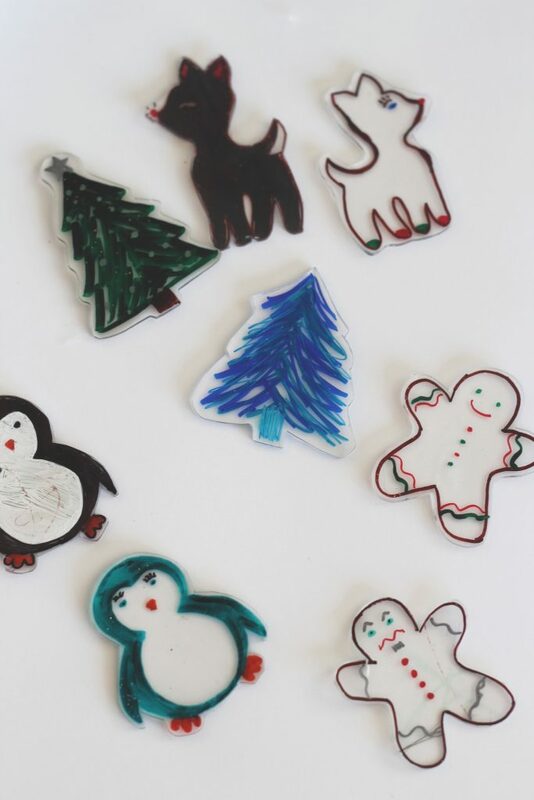 Need a fun Christmas craft for kids? Use shrink plastic and Sharpies and let them make these fun little figures. 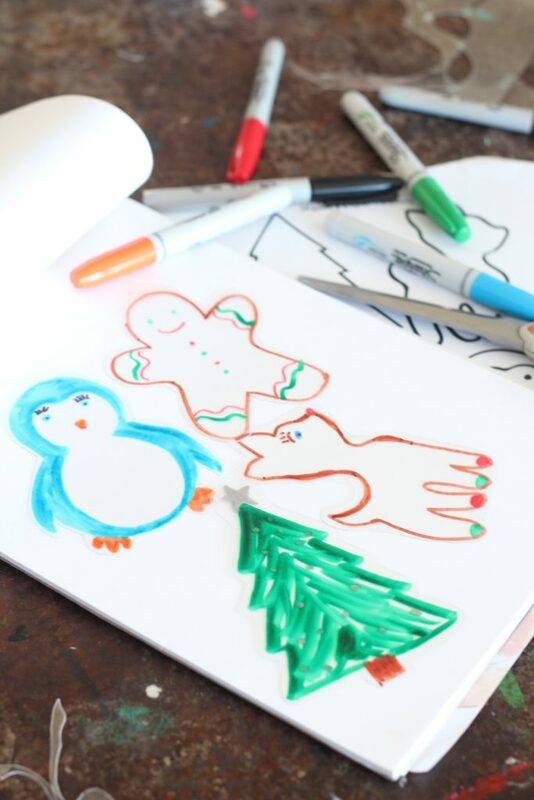 A free printable of Christmas outlines is included too! 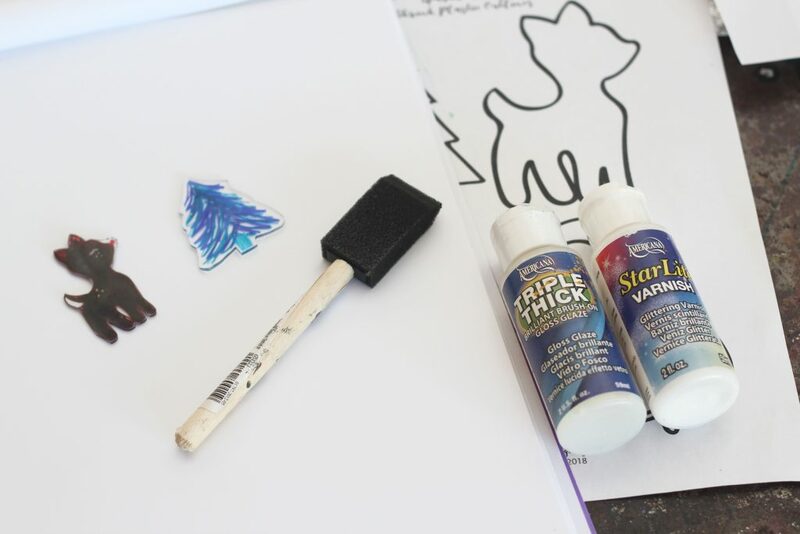 The kiddos love to get involved in a fun Christmas craft, but it can be hard to find an idea that doesn’t look too, uh, kiddish. I wanted a craft that would last and reflect their ages, from the toddler that scribbles to my 10 year old artist! 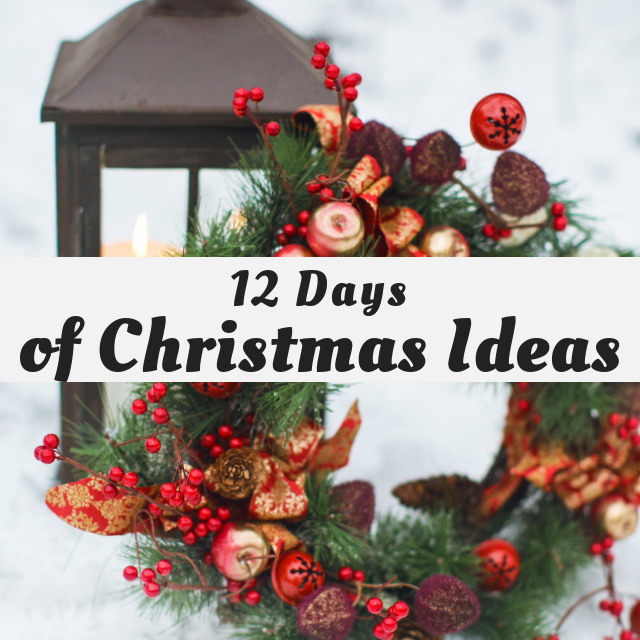 It’s Day 4 of the 12 Days of Christmas Blog Hop and today we are featuring Kid’s Christmas Crafts! Be sure to scroll down and check out all the great ideas! So we bought a big pack of shrink plastic! 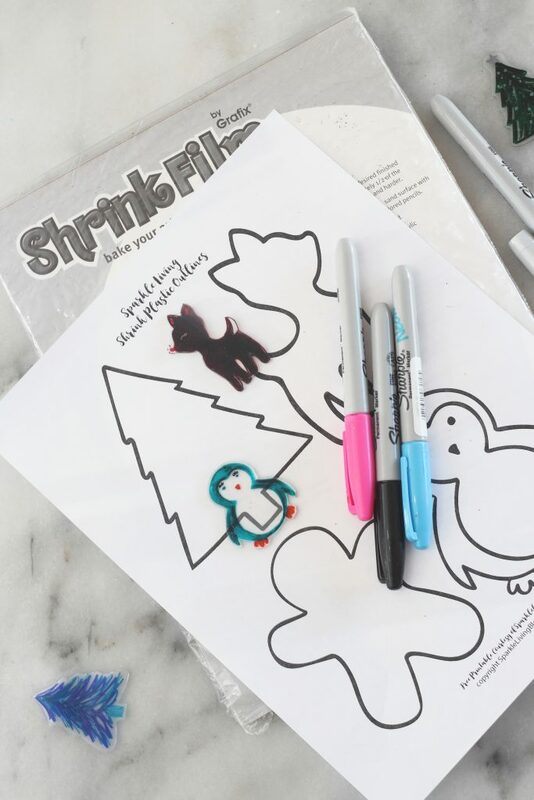 If you aren’t familiar with shrink plastic, it’s a type of plastic that you can color on with Sharpies, cut out and bake for two minutes. The plastic shrinks and thickens and you can make all kinds of fun things! 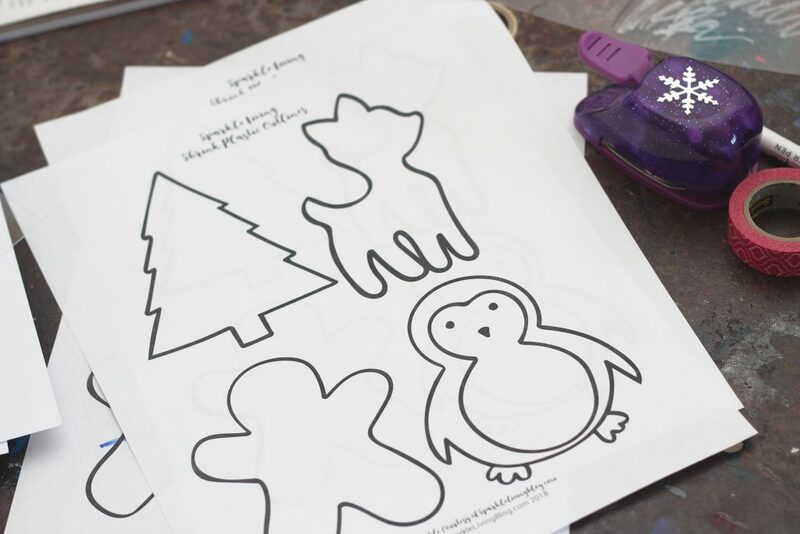 I created a free printable for you with Christmas shapes to trace as an outline. Remember, the plastic will shrink more than 50%, so you will want to enlarge the shapes if you want bigger ornaments! Using permanent markers, trace and color on the shrink plastic. Line a baking sheet with parchment or foil and heat oven to 325F. Cut out shapes and punch a hole, if desired. Bake in oven for 2 to 3 minutes. Coat colored side of shape with Triple Thick Glaze, varnish or decoupage glue. AAAAAAAAH I love shrinky dinks so much! I need to get some of that material and have some fun. Me too! They are seriously fun for the grown ups too! How fun! My kids would love this! So cute! So cute and fun! I like how the kids can be as creative as they want. This really is something that all aged kids can do. I love this idea! I’ve never heard of shrink plastic but this looks like a fun idea to do with my grandson! 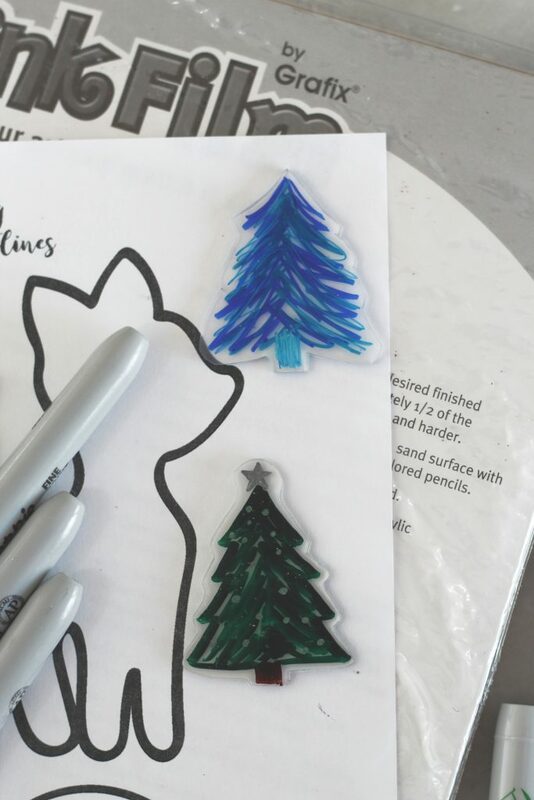 Shrinky Dinks are sooo much fun! Kids will love this.